On July 27, 1953, the Korean War ended with a cease-fire. The Northern and Southern Limit Lines were created as each side moved their troops back 2km from the Military Demarcation Line. 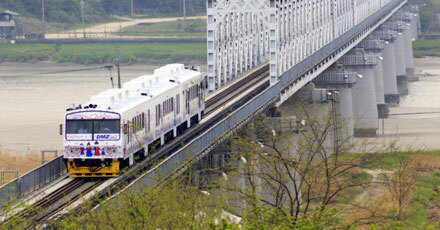 The lines reach 248 km in length from Jeongdong-ri, Paju-si to Myeongho-ri, Goseong-gun. 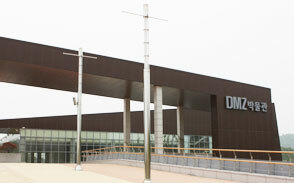 At the present time, an area within 2 km in both the north and south side is designated as the DMZ (Demilitarized Zone). Excluding the DMZ, the overall area is considered to be the most heavily militarized region in the world. 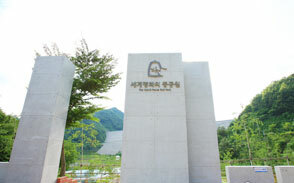 Imjingak Resort, located 7 km from the Military Demarcation Line, is now at the forefront of tourism related to the Korean War. Imjingak was built in 1972 with the hope that someday unification would be possible. The three-storied Imjingak is surrounded by several monuments, Unification Park and North Korea Center. In front of Imjingak is the Gyeongui Train Line which was destroyed during the Korean War in 1950. 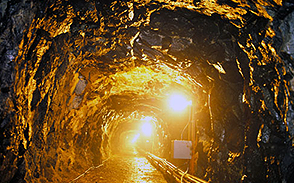 It has been under reconstruction since 2000. 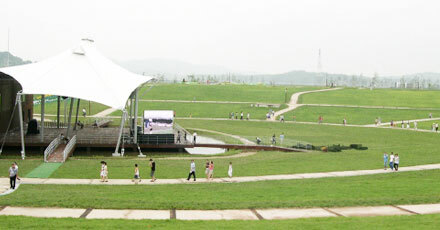 Every year many events for unification are held at Imjingak. 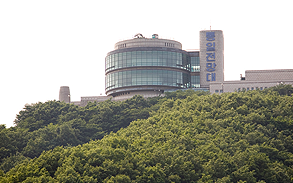 It is now one of the more famous DMZ tourist spots for foreigners because it is possible to visit without going through any security check points. Admission is free. However, parking fees apply. 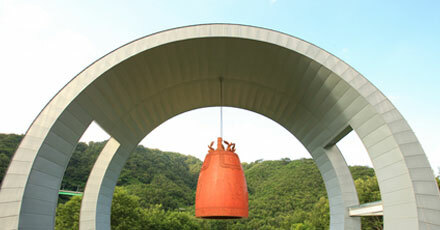 Freedom Bridge is located at the back of Bangbaedan Altar in front of Imjingak Square in Majeong-ri, Munsan-eup. It was named Freedom Bridge because 12,733 Korean War prisoners returned home for freedom through this bridge in 1953. It also has symbolic significance of return to freedom. As much as so, Freedom Bridge is a representative heritage of the Korean War. 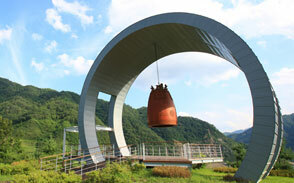 The Peace Bell was built in 2000 to pray for peace of the human race and national unification in celebration of the new millennium. Symbolizing the 21st century, it was built with 21 stairs and in the weight of 21 tons. Pyeonghwa Nuri is built as a large lawn to accommodate 20,000 people. 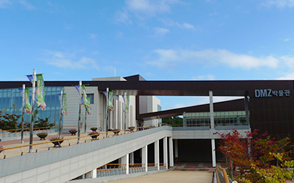 In this park, the visitors can enjoy various performances and Cafe ‘Annyeong’ serves a wide range of teas. Pyeonghwa Nuri also offers Pavilion of the Candle of Life, Dolmuji to pray for national unification, “Annyeong,” a global cafe, and the Hill of Music. Paju DMZ is at a crossroad where the clear water of Imjingang River connects between South and North Korea. Flowing from Hangyeongnam-do and into Hangang River, Imjingnag River shows off its beauty as it serenely passes through the cease-fire line. 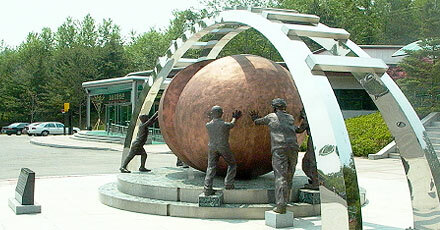 However, it is remembered as a site of the painful and tragic national division of the Korean Peninsula. Camp Greaves is the returned place as of August 2007 after US Army Force withdrawal in 1997. It was a camp base for the 506th US Second Infantry Division for about 50 years after the ceasefire agreement of Korean War. An accommodation for officers, living hall, physical activity hall and several other army facilities remained intact, and are considered to be the ‘Modern Cultural Heritage’ cultural assets. 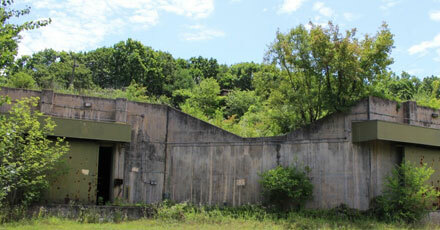 The camp turned into a peace and security experience facility, and it is located just about 2km away from the DMZ. It is also the first youth hostel to be located within a restricted area for civilians in Paju city. An entire building of the US Army officer’s accommodation was remodeled into youth hostel and it can accommodate up to 240 guests. The hostel is comprised of an office room and a small auditorium on the first floor and rooms on the second through third floors, and a large auditorium on the fourth floor. To fulfill every need of the visitors, the camp offers diverse programs such as Security OX Quiz, making mini jangseung (totem pole), sotdae (wooden pole), camp playing activity, ‘Challenge DMZ Golden Bell’, and other exciting programs. Overcoming the pain of history and focusing on the greatness of nature and life, the DMZ train is introduced with three cabins, each with a theme of peace, love and harmony respectively. Seats with great views of the outside, cafe, photo-zone, photo gallery and many other services are provided in this tourist train. 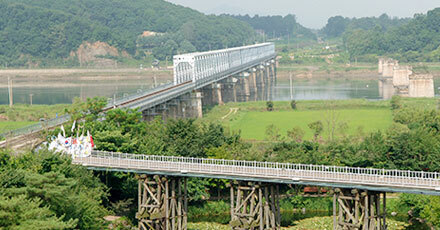 Passengers can enjoy great scenic views on the DMZ train as it bypasses the renowned Imjingang Railroad Bridge.